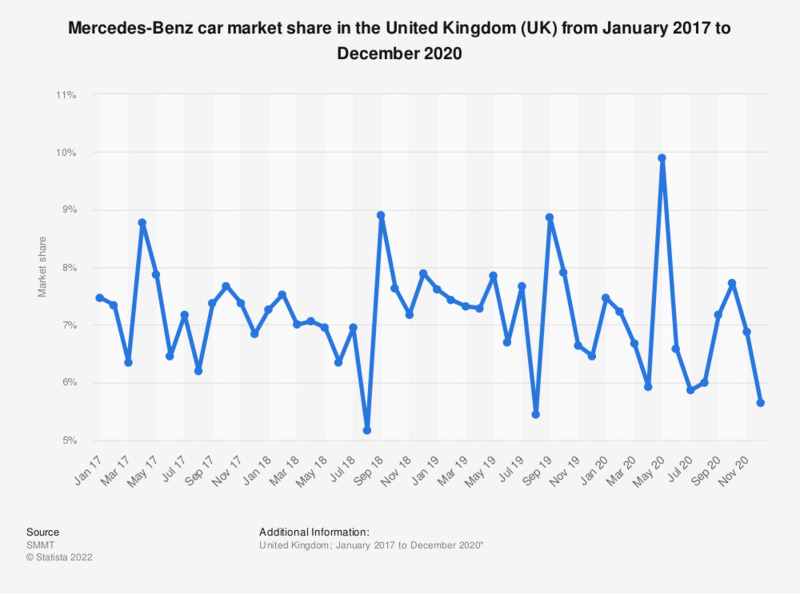 This statistic shows the monthly United Kingdom (UK) market share values for Mercedes-Benz between January 2016 to January 2019. The company's market share had a range between 5.17 and 8.9 percent, meaning it consistently controlled a relatively high portion of the UK car market. Mercedes-Benz is known to be one of the most successful car brands in the UK, being named as one of the top ten leading car manufacturers in the UK. Outside the UK, the value of the brand has been increasing as well since 2010.